Building for bourbon brands is all about storytelling. Over the two decades, some of the world’s top distillers have completed multimillion-dollar architectural projects and exhibitions in an effort to communicate the past, present, and future of whiskey culture through their own distinct stories. Since bourbon is one of Kentucky’s biggest tourist attractions, it’s no surprise that brands are turning to seasoned architects and designers to elevate their physical presence and style. 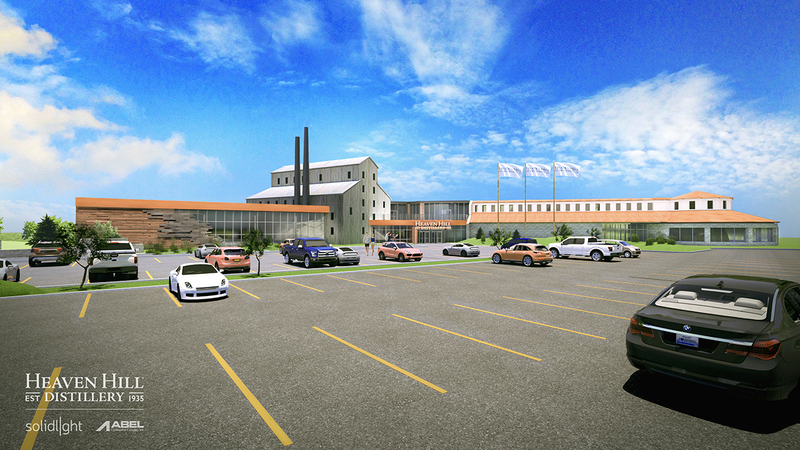 Heaven Hill, the largest independent family-owned producer of distilled spirits in the United States, just announced a $65 million operations expansion that includes renovating its Bardstown, Kentucky, headquarters. 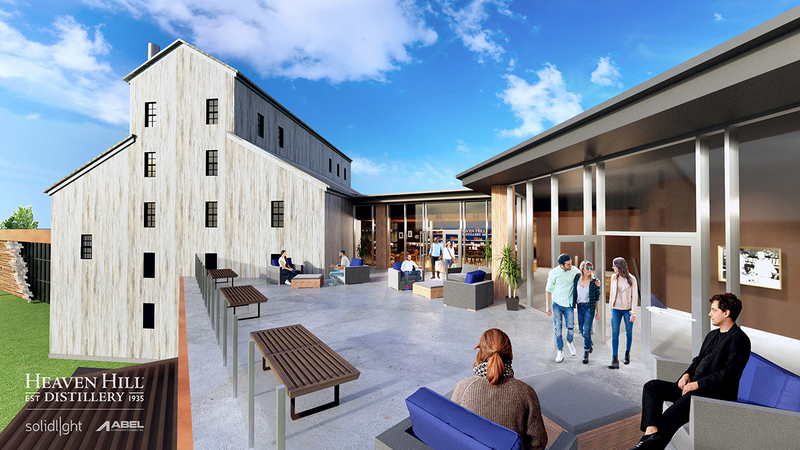 Led by Louisville-based experience design firm Solid Light, the project will completely renovate the brand’s 14-year-old Bourbon Heritage Center and add 22,300-square-feet of space to the site along the famed Kentucky Bourbon Trail. According to Solid Light President Cynthia Torp, Heaven Hill’s goal is to expand guests’ knowledge of the brand’s 83-year history, including the story of the Shapira family that owns the company. The brand also want to provide an immersive, hands-on experience with bourbon that can’t be found anywhere else in the state. 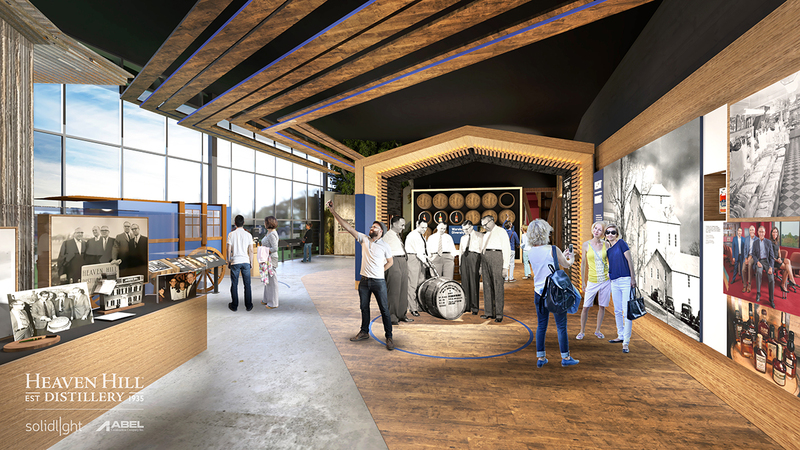 The $17.5 million visitor center expansion is the latest project Solid Light has undertaken with Heaven Hill. In 2000, the firm helped design and build the structure, which it will now supplement with a brand new rooftop bar, enhanced tasting rooms, retail space, and the “You Do Bourbon” experience where guests will get to bottle their own bourbon. 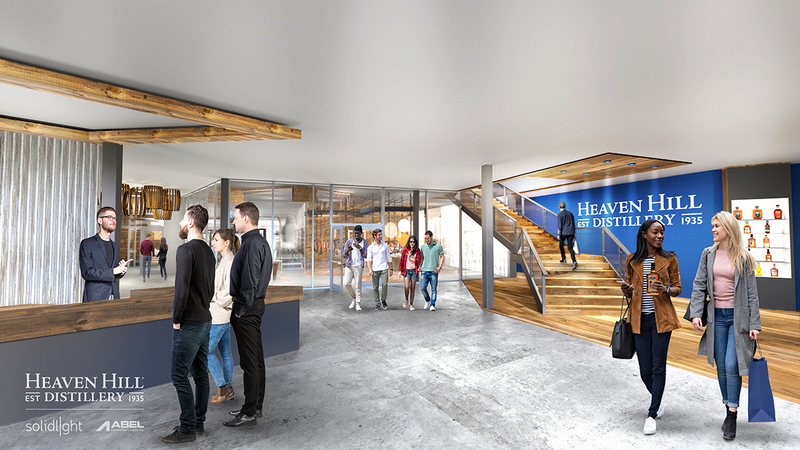 The full-service design and planning firm also completed the Evan Williams Bourbon Experience for Heaven Hill in downtown Louisville, one of the company’s flagship labels. Among its other well-known labels are Elijah Craig, Henry McKenna, Larceny, and Old Fitzgerald. Christopher Quirk, Solid Light’s director of architecture, explained how this project is unlike some of the firm’s other commissions; they designed the Kentucky Derby Museum as well as the Sagamore Spirit Distillery Experience for Under Armour CEO Kevin Plank in Baltimore. He said that, normally, Solid Light is asked to work within the confines of an existing museum space, but due to a devastating fire that destroyed most of the brand’s plant in 1996, Heaven Hill wanted to reestablish its identity through a new structure built for 21st-century bourbon enthusiasts. Further details behind the expanded structure have not yet been released as Solid Light is still in the schematic design phase of planning and aims to announce more information at a later date. Renovation work will begin on the existing site in January and is expected to be done in the middle of the summer. With this news, Heaven Hill joins a list of other Kentucky-based bourbon distillers that have recently completed or are currently renovating their facilities. Kentucky Owl just announced plans to create a 420-acre campus in Bardstown, designed by Shigeru Ban Architects, while Rabbit Hole just opened up a striking, metal-clad building in Louisville last May, dreamt up by pod a+d. In 2017, Bulleit Distilling Co. completed its headquarters in Shelbyville, Kentucky, while Wild Turkey opened an award-winning visitors center in 2014, designed by Louisville-based De Leon & Primmer Architecture Workshop. Quirk noted that part of the Kentucky bourbon industry’s appeal as a big business is the successful promotion of not only its products but the experiences each brand offers customers at these various locations.